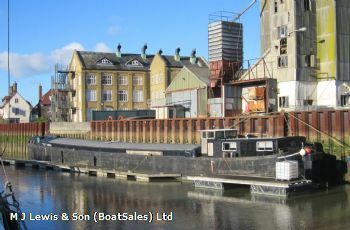 40m Steel Motor Barge, bought out of trade ready for conversion. Mechanics all functional. Generous family accommodation aft and forward, utility area. One long empty hold which is clean and dry, ready for a conversion plan, home office studio.endless options for the square footage of floor space. Vessel can be bought “AS IS” for £65,000 or the conversion.